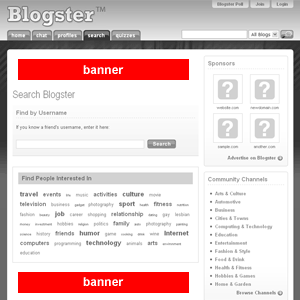 Specification: The front page of Blogster.com serves as the entrance to the Blogster community. 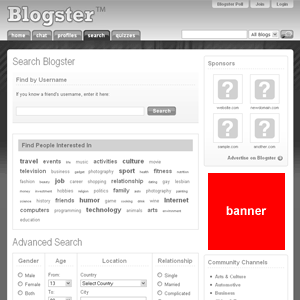 This page is continuously updated with the recent posts, most popular posts and new members. 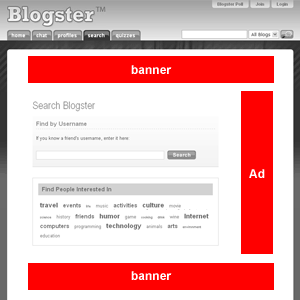 Placement: Adverstiser can choose to run any combination of the ads. Please consult vendor. 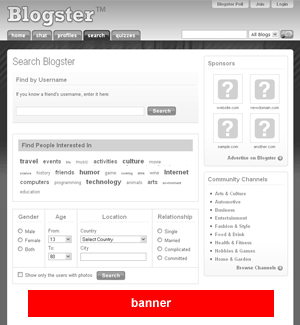 Specification: Blogster users can "subscribe" to particular weblogs and receive email updates with new posts. Have You Ever Advertised Online?